Special counsel Robert Mueller has reportedly sought Trump Tower records of any phone calls or visitor logs regarding Roger Stone. Mueller’s team is investigating what Stone, a longtime Trump confidant, may have known about Wikileaks’ plans to release Democrats’ stolen emails. But Stone vehemently denies visiting Trump Tower after leaving the Trump campaign in August 2015. He says he spoke to Trump in 2016, but never about Wikileaks. Special counsel Robert Mueller has reportedly asked President Donald Trump’s legal team for visitation and phone records from Trump Tower regarding Roger Stone, the longtime Trump confidant currently under scrutiny in the special counsel’s probe. But Stone, a political operative known for unorthodox tactics, says that investigators will not find anything of significance in their probe. “No visits to Trump Tower from August 2015 until after the election when the President-elect asked me to visit,” said Stone to The Daily Caller News Foundation. He advised Trump’s campaign until Aug. 8, 2015. CNN reported that as recently as last month, Mueller’s team sought the Trump Tower records from Trump’s lawyers. Mueller has also asked Trump about his contacts with Stone in written questions submitted to the White House. Trump’s team was surprised by the Stone-related request, according to CNN. Mueller is investigating what the 66-year-old Stone may have known of Wikileaks’ plans to release emails stolen from Clinton campaign chairman John Podesta. On July 13, Mueller indicted 12 Russian nationals suspected of operating the online persona Guccifer 2.0 to pass hacked emails to Wikileaks. Wikileaks published the pilfered Podesta documents on Oct. 7, 2016. The group, founded by Julian Assange, published DNC emails allegedly stolen by the same group of Russians on July 22, 2016. Stone’s tweets and comments he made during a speech to Florida Republicans on Aug. 8, 2016 have landed him in Mueller’s crosshairs, though he insists that he had no prior knowledge about the specific timing, content or source of the leaked Podesta records. He has said he did not know that the documents would be related to Podesta. A tweet that Stone sent on Aug. 21, 2016 has led to allegations that he knew of the Podesta plan. Stone wrote that “it will soon [be] the Podesta’s time in the barrel.” In downplaying the tweet, Stone has emphasized that he wrote “the Podesta’s,” a phrasing that he says shows that he was referring to John Podesta and his lobbyist brother Tony. Stone says that just before his tweet, journalist Jerome Corsi pointed him to reports about the Podestas’ lobbying activities. He says he asked Corsi to write a memo laying out the information. Corsi, a former contributor to Infowars, where Stone is a contributor, has been involved with the Mueller probe for two months. He appeared before Mueller’s grand jury on Oct. 2. Credico, who testified to Mueller’s grand jury on Sept. 7, has denied Stone’s claims that he was his link to Wikileaks and Assange. But Credico, who has interviewed Assange on his radio show, has said at various points since his name was linked to the saga on Nov. 30, 2017 that he indeed was an intermediary for Stone and Wikileaks. Mueller’s grand jury has also heard testimony from two witnesses who claim that Credico confirmed to them that he was Stone’s source. Tyler Nixon and David Lugo testified to the grand jury on Nov. 2 and Oct. 19, respectively. “I knew Rodger [sic] was going to name me sooner or later and so I told you that I’m the so-called back Channel,” Credico wrote in a text message to Lugo on May 29. What Stone may have told the Trump campaign and Trump himself is also an area of inquiry for prosecutors. Stone recently revealed in an op-ed for The Daily Caller, where Stone serves as men’s fashion editor, that he had an interaction with Steve Bannon on Oct. 4, 2016 regarding Wikileaks. The email shows that Bannon asked Stone about a much-anticipated press conference in which Assange said that he would be releasing Clinton-related documents on a weekly basis through the election. Stone insists that he did not have specific knowledge of what Assange would release. 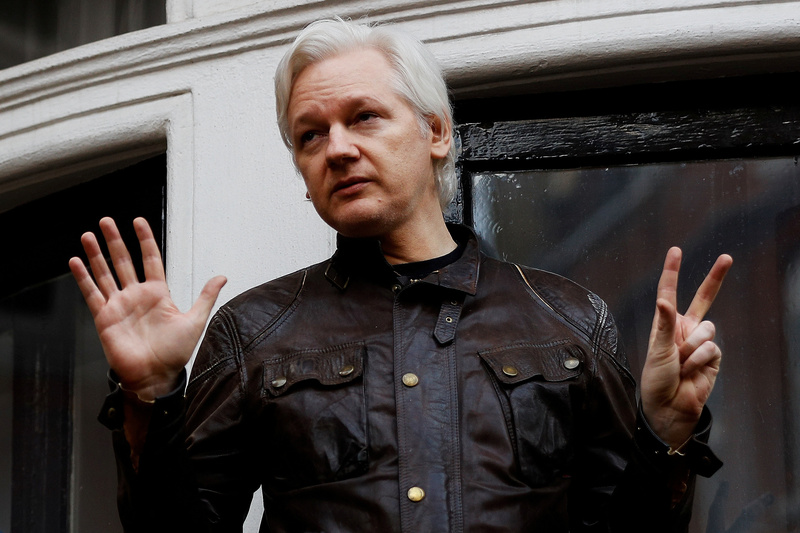 He says that his exchange with Bannon reflected what had been publicly reported about Assange’s press conference as well as the Wikileaks founder’s tweets. In all of the reporting about Mueller’s focus on Stone, there have yet to be any allegations that he knew who was leaking documents to Wikileaks or that he provided any instructions on the hacking or release of emails. Stone has publicly disputed the conventional wisdom that the Russian government was behind the email hacks.